Car prices in India are increasing rapidly and so are maintenance charges. Along with them, car insurance premiums are also rising. For instance, IRDAI recently gave its nod for a hike in third party insurance premium by up to 40%. Under such circumstances, therefore, you should know the various factors which usually affect your car insurance premium so that you can take the maximum benefit and also reduce your premiums. This is a newly-introduced option in vehicle insurance, under which the insurance company provides a GPS device at a cost with viewing facility at the insurer’s side. “The insurer releases reward points based on the driving nature of the insured. These points can be redeemed while making payment for premium for renewing the policy next year,” says Joseph M M, Chief General Insurance Officer at Geojit Financial Services. Your car insurance premium is generally computed at basic level coverage based on vehicle value, vehicle age, fuel type, etc. Any addition such as LPT fittings, CD player or ultrasound censor made would alter your car insurance premium. “Any additional fitting which doesn’t come as factory fitted attracts higher premium. Therefore, if you don’t want the premium to go up, then you should avoid going for additional fittings,” says Saroj Satapathy, CEO, Ideal Insurance Brokers Pvt Ltd. When you do not make a claim in a year, you are eligible for a no claim bonus in subsequent car insurance premiums. 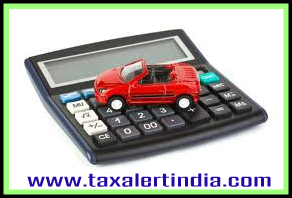 Many companies offer 30% to 50% deduction from premiums if you are not claiming for 3 to 5 years continuously. Even in case of small claims, avoid filing a claim so that you are entitled for a high NCB in the long run. Moreover, “NCB follows the fortune of the owner and thus even when you sell your vehicle, you are entitled to transfer the same to the new vehicle purchased. In case you are not immediately buying any vehicle, the same can be reserved for 3 years. A No Claim Bonus enjoyed by a company-owned vehicle and entirely used by you can be transferred to you by obtaining specific declaration from the company that the vehicle was driven and used by you only,” says Satapathy. Most of the general insurance companies offer this facility, under which the customer can pay a little more premium and avail this benefit. “Under this option, the NCB can be protected even if there are claims during the policy period (restriction on number claims applicable),” says Joseph. It makes sense to seek quote from at least 5 to 6 different insurance companies and compare the same in terms of benefit and premium to arrive at a conscious decision. The market is very competitive and so, you must also look at getting quotes on-line to have a better comparison. However, ensure that you get quotes for similar coverage. If you want, you can opt out of small claims for minor damages. For this, a voluntary deductible discount is offered, which can go up to 35% of the premium for vehicle damage, subject to the voluntary deductible amount you choose. A deductible is a specified amount that the insured has to bear when he/she files a claim, following which the insurer pays the balance. Opting for a higher deductible earns you a discount in your premium. You can save on the premium this way too. These days insurers are keeping a close watch on the make and model of cars as each make and model has its own claim record. Therefore, premiums are also determined based on a model’s claim experience. For example, some models may be more claim-prone because of their structure or usage. So, in such cases, insurers will also be less willing to give a higher discount. Thus, you can expect higher discounts for a make/model with favourable loss ratio than a model which meets with accidents on a regular basis or more frequently. 8. Avoid policy lapse: Always try to avoid policy lapse. If your policy lapses, then insurance companies may disqualify the discounts and benefits you may receive at the time of renewing your policy in the future. Like you may lose your No Claim Bonus. Some insurance companies are offering discounts based on the profession of the insured (viz: doctors, teachers , lawyers etc). For example, an office goer will usually use the vehicle only to commute between his office and home, whereas a sales person will use the vehicle for plying across the city. No wonder, one’s occupation is also taken into account by insurance companies while determining the premium. If your car is having safety and anti-theft features and devices like airbags, anti-lock break, it would help you reduce the car insurance premium by 2-5%. It is, however, necessary to install an approved make to claim the discount.